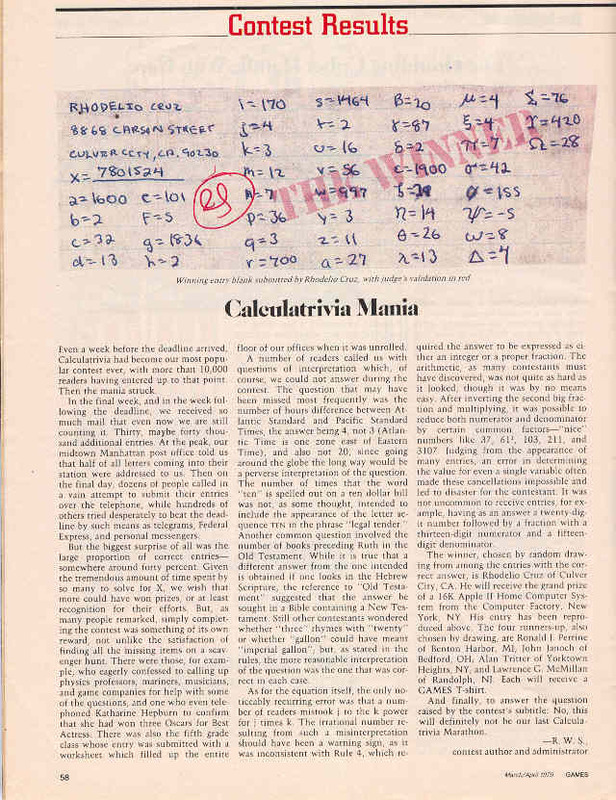 I’ve resurrected another post from my defunct old website in response to a Ken Jennings blog topic — this one about a puzzle that obsessed him as a kid. 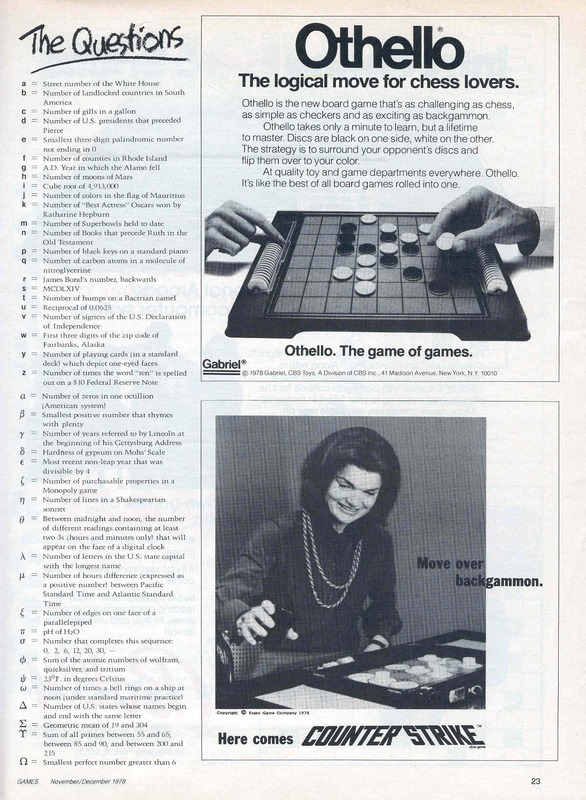 The one that obsessed me for a while in seventh grade was in Games magazine, and it led more or less directly to my present career as a computer programmer. 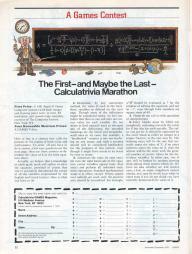 It was called The Calculatrivia Marathon. 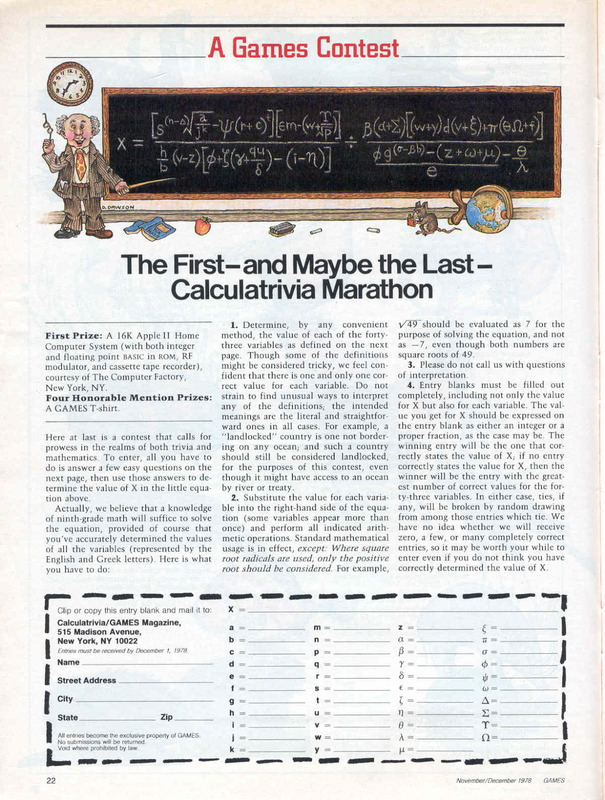 I don’t know exactly why this contest captured my imagination, nor why the first prize was so appealing to me (I had no particular interest in computers before then) — but it did, and it was. I set to the task with a single-mindedness that my new teachers wished I would devote to my homework. After I assembled all my trivia answers, I consulted my math teacher, Ms. Krilov, for help in interpreting the formula. 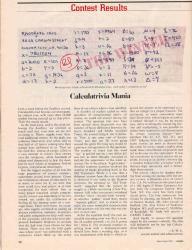 At the tender age of twelve, you see, I’d never seen a fraction with another fraction in the numerator or denominator. After that was cleared up, I plugged in my numbers and began calculating. The first two or three times I got totally different answers. But in the end I got a number I could feel pretty confident about. It was something like 117345.0625. The contest had been hard, very hard — and I had finished it. Surely only a very few others had gotten as far as I had? My chances of winning the grand prize were clearly very, very good. 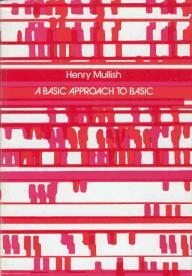 Of course, I had no idea what such phrases as “BASIC in ROM” meant. 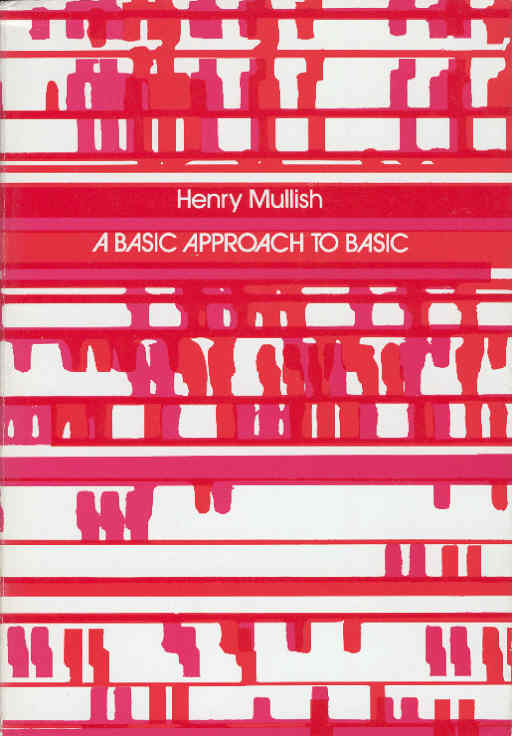 During the few months before the contest winner was announced, I went to the school library and checked out “A Basic Approach to BASIC,” by Henry Mullish, and read it cover-to-cover. Then I read it again. When it was due back, I re-checked it out. 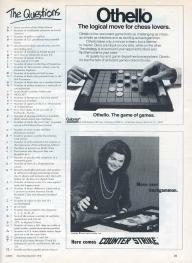 In this way, while waiting to hear from Games Magazine, I learned to write computer programs; and today, programming is my livelihood and my chief avocation.